Stonewall Jackson loaded the school bus early Monday morning and headed South on I-81 knowing that they would be playing next Monday in the Region B tournament regardless of the outcome of the District event. The Generals punched their ticket for the Post Season back before their classmates went to school for the first time by winning the regular season crown. The fact that Head Coach Roger Wilkins and his squad has nothing to prove made their six stroke victory over runner-up Riverheads all the more impressive on Monday.Tyler Barb led the balanced attack by carding an 83 but he had company in the 80’s as Dallas Foltz (87) and Coleman Johnson (88) each broke 90. 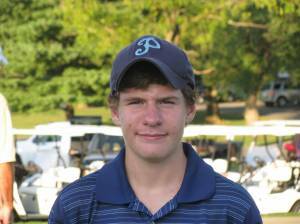 Hayden Miller rounded out the scoring by shooting 91 on the Par 70 Layout. 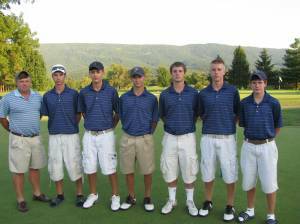 The 349 team total held up by 6 over Riverheads, by 7 over Central and 8 over Page County. You can read more about the Generals and the Falcons by clicking over to www.nvdailysports.com on Tuesday. Congrats to Coach Wilkins & his Generals ! Dallas Foltz - 6TH Overall in District for season. Elliott Good advnces on strength of his 90. Page County just missed claiming the #2 spot and automatic bid for Region B play but the Panthers still had a memorable day Monday at Heritage Oaks. 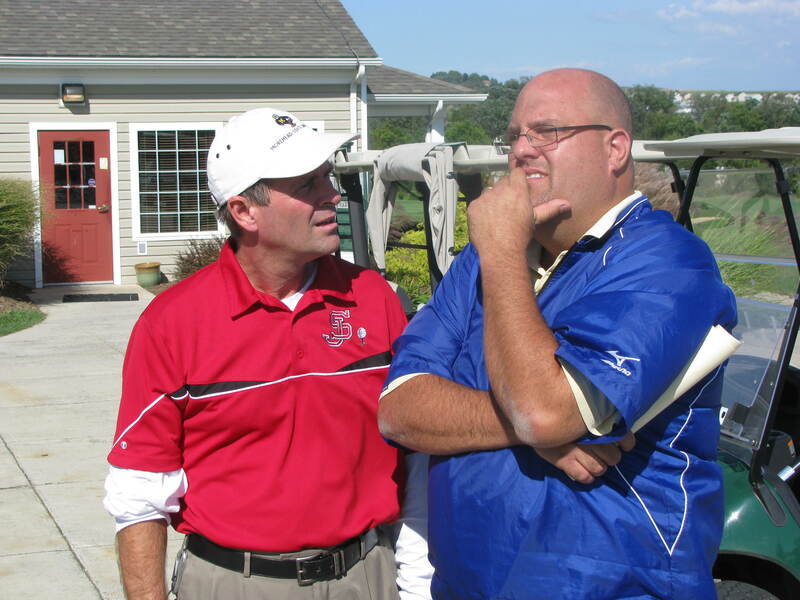 Two Panthers qualified for Region B play and Coach Campbell was voted District Coach of the Year by his peers. Vandanna carded an 82 to lead the Panthers as well as tie for 2ND overall while Elliott Good claimed the sixth and final individual spot with a 90. 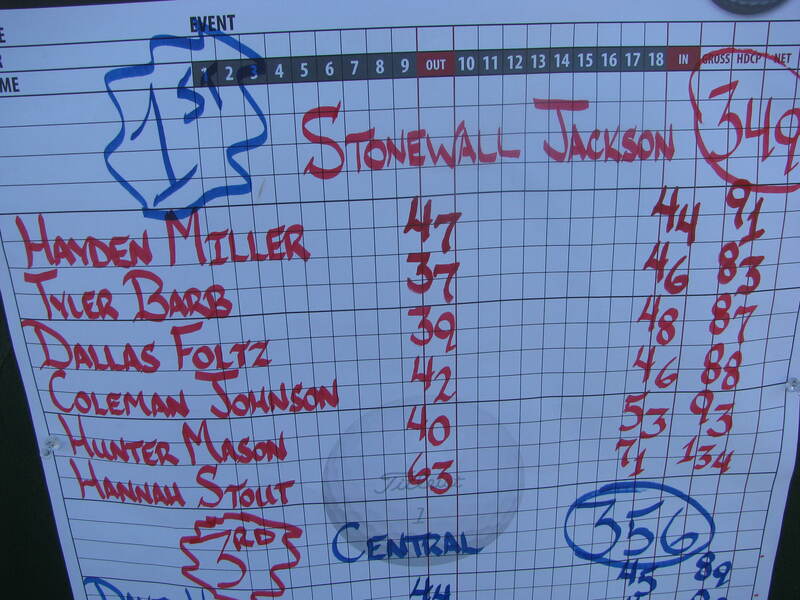 Both golfers will now make the trip out to Bryce Mountain next Monday for the next round of competition. Ty Comer finished with a 92 and Dustin Good rounded out the scoring with a 93. The Panthers finished with a 357 total for the tourney. 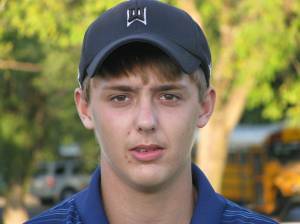 Central’s Josh Edmonds was playing in the sixth and final group for Head Coach Jeff Walters and when he turned in an 88 it trimmed 11 strokes off the total for the Falcons. The All -District duo of David Hoye (89) and Ryan Bowen (82) posted solid scores in the first two groups but the team dropped down the leader board until Edmonds posted the 10TH and final sub 90 round of the tournament. and Edmonds earned the right to compete at Bryce Mountain Resort next Monday when Walters and the Falcons host the Region B Championships. 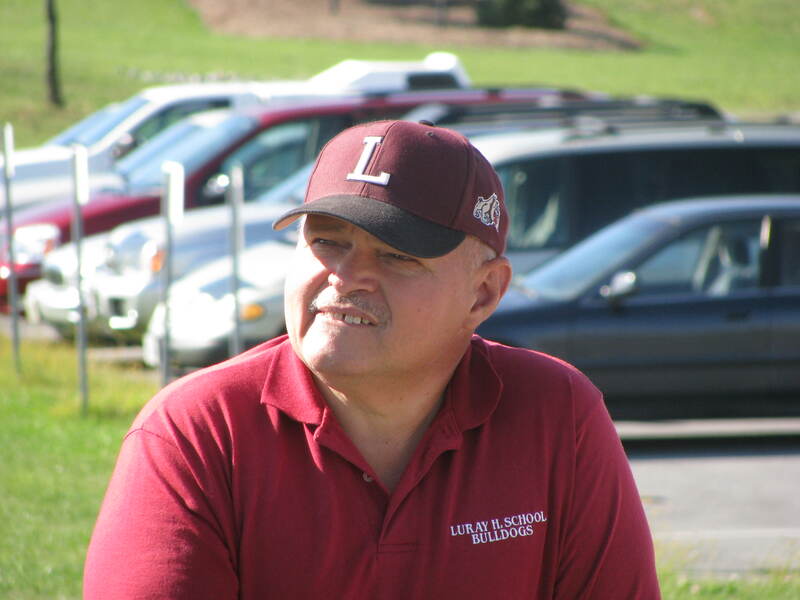 Any fan that has attended a Shenandoah District event in the past few years would recognize Luray AD Don Ehlers as well as LHS Golf Coach Chris Mercer. 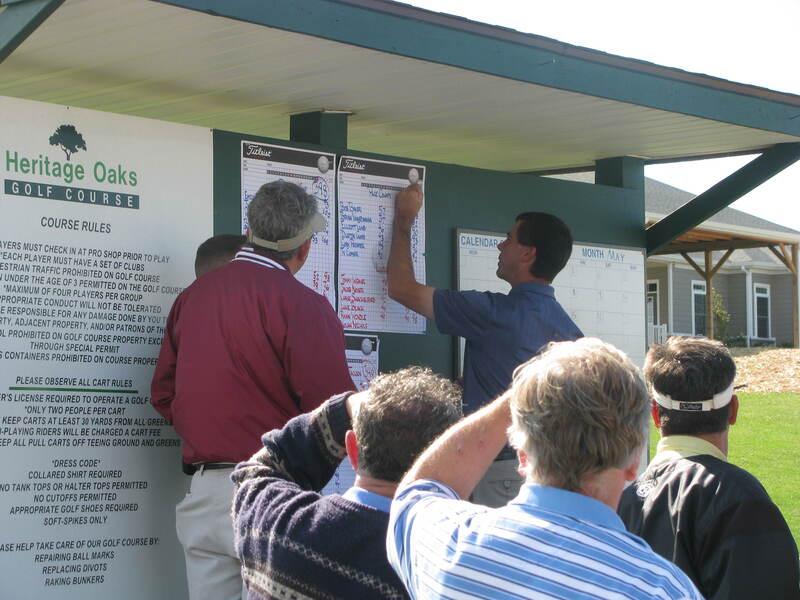 The duo has teamed up to either host or support a number of recent district events and they were back at it Monday at Heritage Oaks. 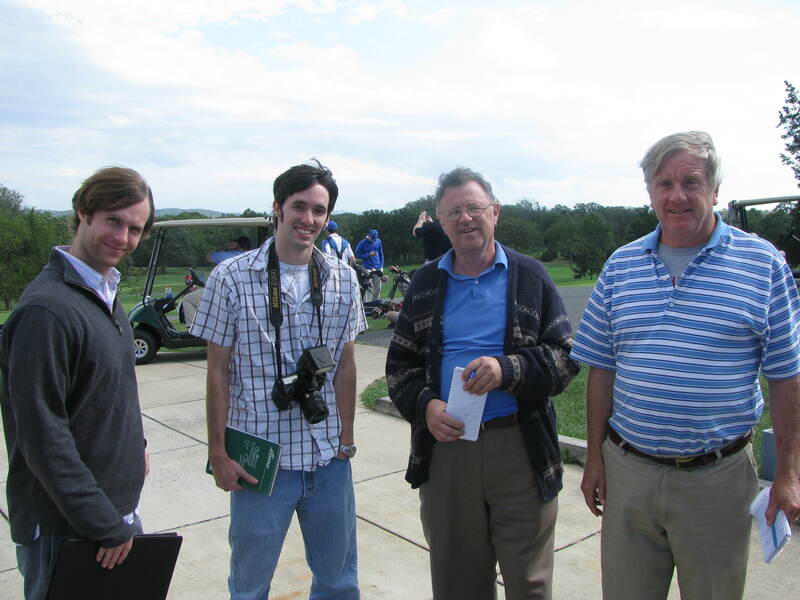 This time they brought a few of fellow Luray supporters with them as LHS provided spotters for the golfers throughout the 18 hole tournament. Dow McGrady and Juno Carroll were just a pair of the LHS folks that joined in the effort to make the day long event as remember able as possible for all 36 golfers. Jacob Noser led the Bulldogs with an 89 to qualify for the individual side of Region B play while teammate Tommy Weaver missed by just one stroke with his 91. 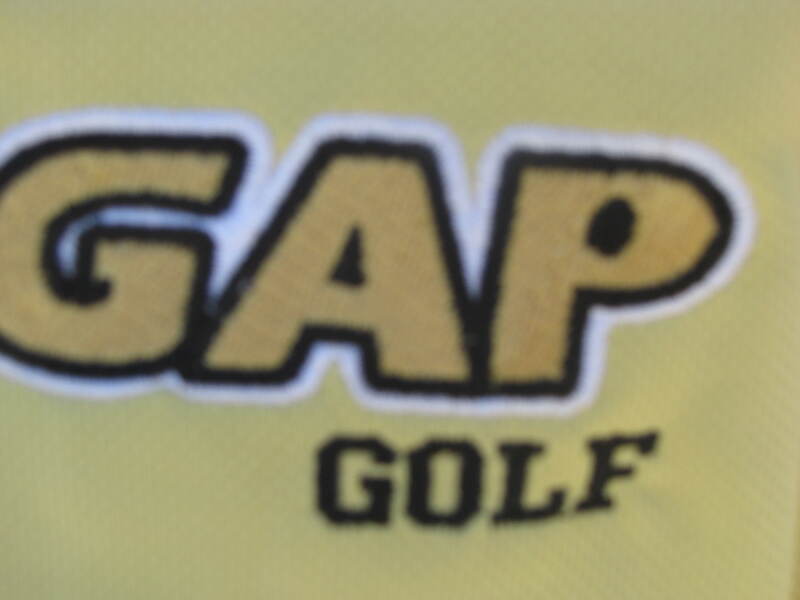 Chase Shackelford posted a 93 and Ryan Windle rounded out the scoring with a 98. The team total was listed as 372 but I believe it should have been 371 with Windle’s 98 knocking out the 99 carded by Luke Black. Noser will join Coach Mercer next Monday for the Region B tournament at Bryce Mountain. Jacob Noser advances with an 89. Luray’s Mr. Carroll was on hand to help host the event. The winning score card of the Generals !